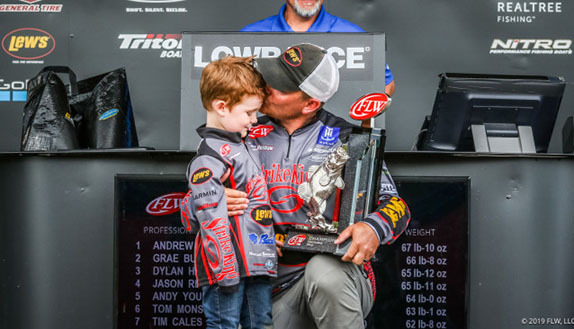 If you�re looking for insight on what to expect at the Bassmaster Elite Series event on Lake Hartwell this week, you might want to stop by Ralph Hayes Toyota � South Carolina�s longest-established Toyota dealership, located three minutes from Hartwell�s shoreline. Once you get there, ask for Colton. You won�t find him in a front office, but instead let your ears lead you to the back of the building, where you�ll hear the roar of the industrial power washer 18-year-old Colton Turner uses to detail vehicles in order to pay for the white 2007 Tacoma he bought. �It�s my baby,� he�ll tell you of his Tacoma. And the former angler from the B.A.S.S.-sanctioned Palmetto Boat Center High School Trail will also tell you anything you need to know about fishing on Hartwell. As a high school angler, he qualified for the state championship four straight years. So we did. We asked him what fans could expect on Hartwell this week, and here�s what he had to say. You can also count on spinning rods linked to wacky-rigged soft stick baits to get major playing time around Hartwell�s docks this week. 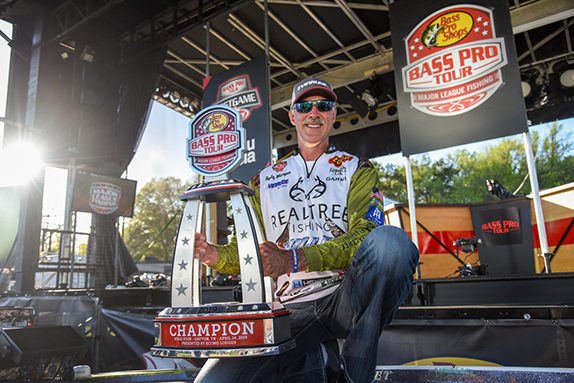 �We had a big team tournament here last weekend with 52 teams that know the lake well and 16 pounds won it,� said Turner. �But the thing that surprised me most is we saw fish schooling on the surface even though the water temp is barely 60 degrees. So don�t be surprised if somebody weighs fish this week throwing a topwater or small swimbait at schooling fish if they�re fortunate enough to see that kind of activity." When he�s not fishing or working at Ralph Hayes, he attends Tri County Tech to learn the heating and air conditioning trade, but like so many of us, fishing is simply in his blood. His mom, Renee, also works at Ralph Hayes, and his dad, Kevin, has been fishing tournaments on Hartwell for as long as Colton can remember. �Dad started me with a spinning rod when I was about 5 years old, and with three boat ramps located 10 minutes from our house, it�s pretty much all I�ve ever known or wanted to do,� he says. 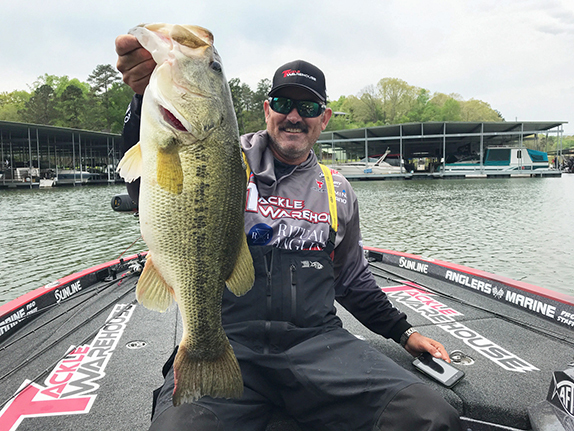 �The dream week on Hartwell would probably be in late April catching bass on topwaters out of brushpiles on main lake points, but it�s still too early for that." 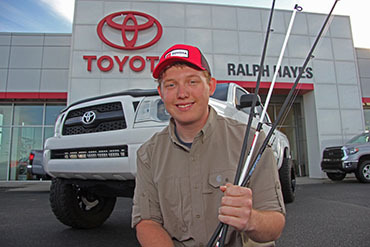 �From Joe Gant, our salesman, to Brad Burdette, our service advisor, it seems like everybody here at Ralph Hayes Toyota wants to talk about fishing,� he says with a grin.